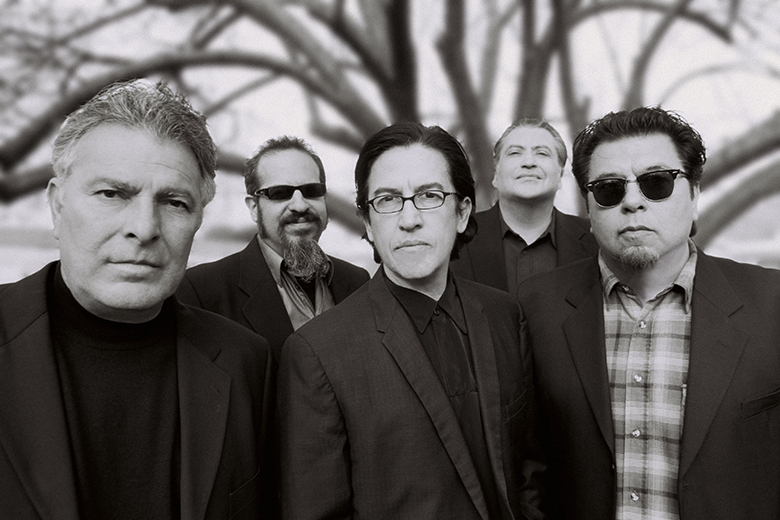 Los Lobos, whose song "La Bamba" was the first Spanish-language song to reach No. 1 on the U.S. charts, will join us for a fun and exciting family concert. The celebrated Mexican-American rock band LOS LOBOS have been seamlessly "moving back and forth between their Chicano roots and their love of American rock & roll," (Billboard) since their Los Angeles origins decades ago. The breakthrough moment came in 1987 when their cover of Ritchie Valens' "La Bamba" reached No. 1 on the U.S. charts, making it the first song in Spanish to do so. In the aftermath of the hit, they toured the world opening for the likes of Bob Dylan, U2, and the Grateful Dead, and followed up with the popular collection of Mexican traditional and original songs La Pistola y el Corazon. Blazing heartland guitars, Tex-Mex twang, and Chicano rhythms can all be heard on their iconic original score for the film Desperado, which earned them the 1995 GRAMMY Award for Best Pop Instrumental Performance. Lesser known, but equally as rockin', are their family music bona fides: the outstanding concept album Papa's Dream (1995) and a whole record of Disney tunes (2009) showcase their connection to music for parents and kids. This electrified show will be a crowd pleaser for all ages!